I never read, or was read, Where the Wild Things Are as a child. I know this probably seems truly bizarre, given that I was reading on my own at such a young age, but I missed a lot of great picture books because of that very fact. I still have not read this book, and I’m not sure if the time will come. I hope it does. 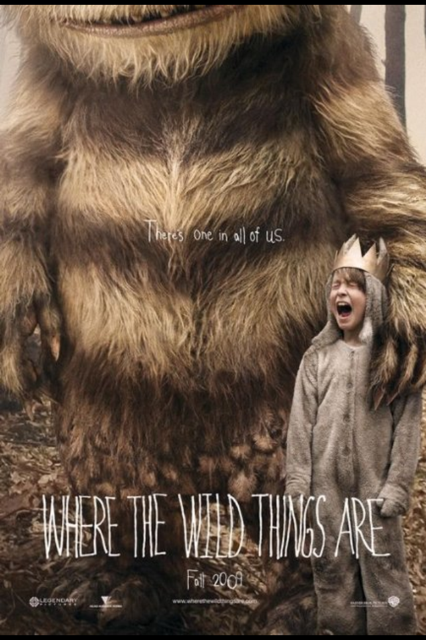 But in the meantime, I saw the movie last year and loved the story very much, and am grateful to Mr Sendak for giving me the wonder of the wild things in my adulthood. I’m especially glad he was involved in the production of the film, and that he stuck with the director whose vision he favored even when it led to changing production studios. I’m also incredibly grateful that Sendak trusted children to experience this film – both its visual effects and its raw emotion – without fear. He knew that it’s we adults who fear children feeling – and moreover, embracing – big anger, because we don’t know how to handle it ourselves. We don’t allow ourselves to just be pissed off at a situation that feels unfair and awful and gross; we have to behave like grownups and compose ourselves, and have forgotten how healthy a good wild rumpus can be. Thank you for the reminder, Mr Sendak, and for the permission. “Where the Wild Things Are” is probably the best book that I have read since I was a child. I have also seen the movie and it was very terrific. What’s your favorite book so far? Thanks for sharing your thoughts about this book.